At first glance, Auckland can seem one of those cities that spreads out uncontrollably from itself - there are a lot of areas to cover, a lot to do, and a lot of people in many of the best places. Luckily for you, I’m a lifelong Aucklander who has collated some of the best hidden (read: not lots of people) experiences in each corner of the city. North, south, east, west – even Waiheke Island – these are the hidden gems to seek out. You know the central classics: the Sky Tower, SPQR if you’re a certain kind of fancy, maybe somewhere on the Viaduct if you want the views. But if you want a feeling for a chill, real time in Auckland, go to Karangahape Road – colloquially known as K’ Road. If you’re around early in the day, I’d recommend Between. It’s a lovely family-run cafe down the non-gentrified end of K’ Road; the food is delightfully bougie, a mix of Western breakfast favourites and pan-Asian lunch staples but my favourite offering of theirs is their homemade, refreshing, iced tea. And if you’re around at the end of the day and ready to get a charming amount of loose, then I direct you to the more-gentrified end of K’Road, to Lovebucket. Hidden in the depths of the Food Workshop, it’s a good-sized cocktail bar that specializes in gin cocktails. There’s literally gin and tonic on tap! 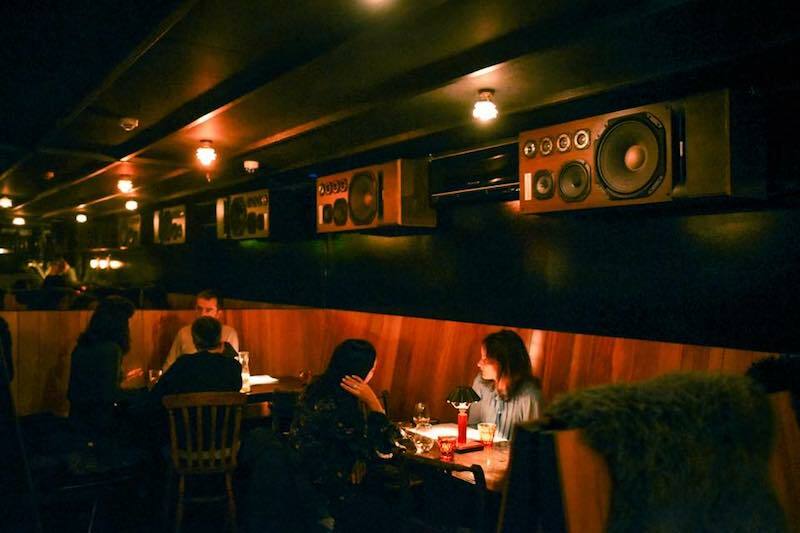 With the kind of moody lighting that can take you from 4pm to 4am, it’ll set you up whether you’re in for a quick drink before a show or in for the long haul. Combine two low stress activities: art and walking and enjoy these hidden gems in the North. It’s the Brick Bay Sculpture Trail, a walk through 50 carefully curated sculptures including the likes of internationally acclaimed artists Terry Stringer ONZM, Virginia King, and Chris Booth. Even better, the trail is only two kilometres and will deposit you at the end right next to a lovely restaurant. 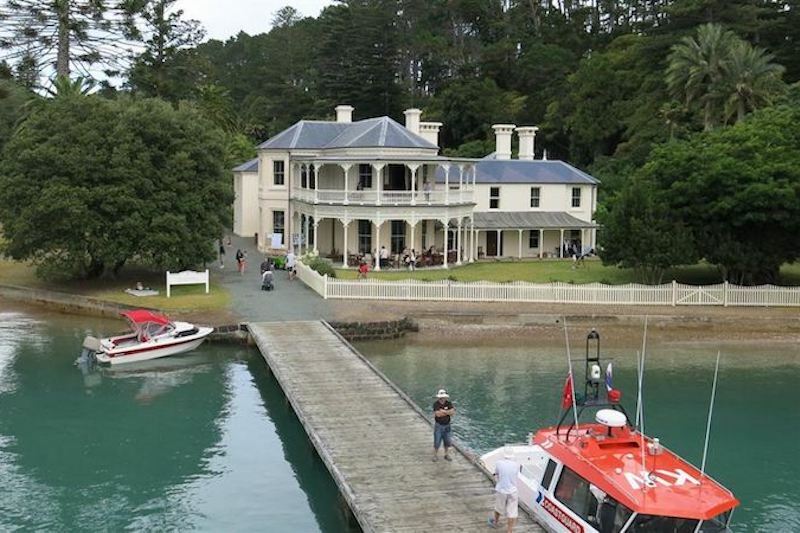 My other favourite northern spot will take you a bit of a drive and a ferry, but it’s worth it: Kawau Island is truly a hidden gem. There’s accommodation if you want to stay overnight, but it’s worth a daytrip just to see the Mansion House and live out your fantasies of being an late 19th century governor general. Take in some of the best views overlooking the stunning Auckland skyline from North Head! Enjoy a coastal look walk around the base of North Head, which is considered the most significant coastal defence site in the country. This walk will then take you past rocky outcrops and a secluded bay before reaching the beautiful Cheltenham Beach. And fun fact, a good portion of this track was originally built during WWII by the searchlight crews. 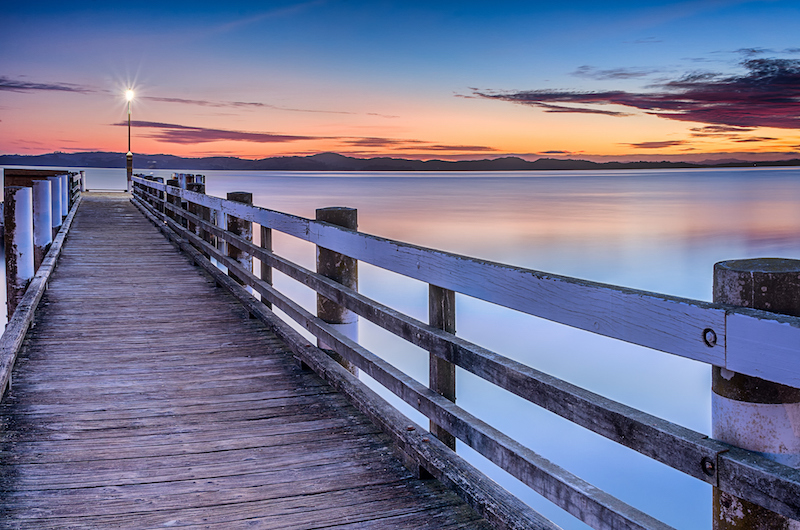 The sparkling waters of the Hauraki gulf make this a very enjoyable and easy walk. Afterwards, head into the picturesque seaside town Devonport for a bite to eat and stroll through the quaint shops. Are you into a bit of kitsch? Of course you are! 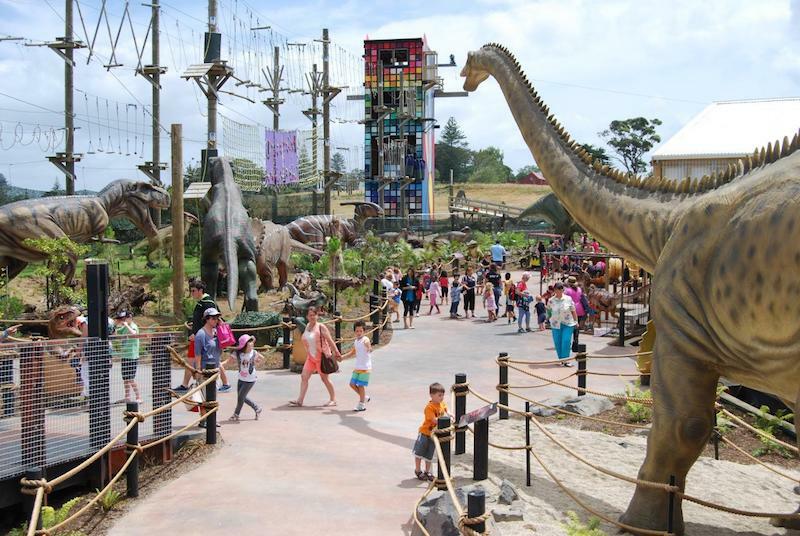 Look no further than Butterfly Creek, New Zealand’s only tropical butterfly museum, that also comes with a dinosaur exhibit, a train, a playground and its own restaurant. It’s the ideal place to take both the child you have to look after, and the child inside you. If you’re a bit wilder, there’s also what is touted as Australasia’s best paintball facility, Lock ‘N Load Adventures, and Rocket Ropes, a high ropes park. But if you’re after a quieter time, be sure to check out Hunua Falls. Less than an hour away from the city centre, it is definitely one of Auckland's most beautiful waterfalls and ideal for a quiet picnic away from the hubbub. Don’t leave any rubbish, though! If you want to sample the best locally sourced and seasonal offerings, then take a Sunday drive to the Clevedon Village Farmers' Market. Be inspired by cooking tips and recipes from the market stallholders and enjoy espresso coffee, and real fruit ice cream from Shane's Caravan. The Kitchen has a delicious range of home baked morning tea and light luncheon food available to enjoy in the supper room, or take it with you to the fantastic local beaches for a seaside picnic at Maraetai Beach or Kawakawa Bay. Two of the places to visit in West Auckland are a stone’s throw away from each other. French Bay is a beautiful beach on Auckland’s famously raucous westside – there’s nary a wave to be seen, but you’re hardly likely to be disturbed either. Have a quick shop in New Lynn, then lay down a picnic blanket and chill out with a book and a cheeky wine or beer. And when you’re done, have a stroll up to the McCahon House; the house where New Zealand’s most important 20th century painter did most of his work. It’s not only a peek into McCahon’s artistic life, but into the history of Titirangi, one of Auckland’s most vibrant districts. If you wish to uncover one of Auckland's best kept secrets then pay a visit to Anawhata. For an area so close to the city, Anawhata is a remarkably quiet place. A beach so beautifully rugged and within one hour of Auckland city. Stay for the day and take the easy 2 hour walk down to the stunning untouched Whites Beach - you're likely not to see a foot print in sight other than your own! 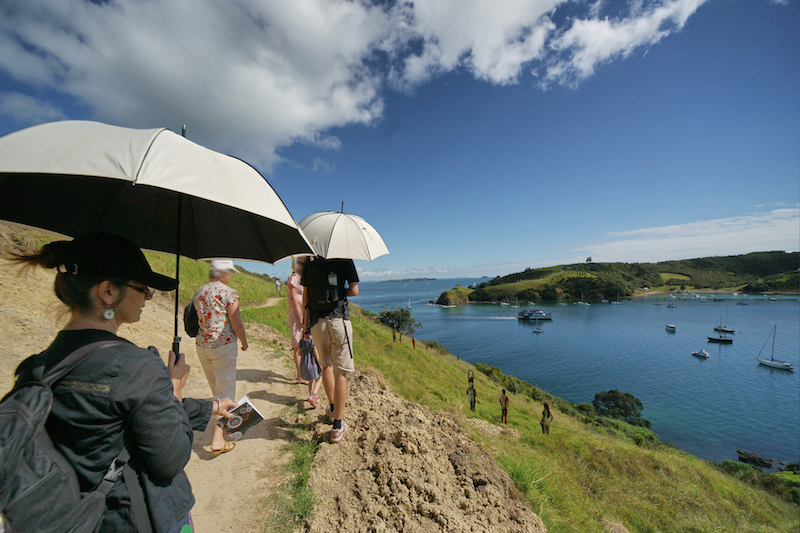 Auckland is full of great walks, but one of the most beautiful and luxurious is East Auckland’s Pohutukawa Coast Trail – it’s a good five kilometres, and you’ll see Auckland at its most lush and untouched, but the best bit is that you’ll end up at my favourite beach on this side of Auckland: Maraetai Beach. With none of crowds you’ll find at Mission Bay, but with all of the beauty, Maraetai is a chill alternative to the norm. Even better, you’re only a short jandal-clad walk to the nearest restaurant, the rustic and punnily named Bach’n Cafe. Bonus tip: If you want to treat yourself on the way there, I’d recommend catching the ferry rather than driving. It’s quicker and the view is much better! Another iconic hidden gem in Auckland is Musick Point. 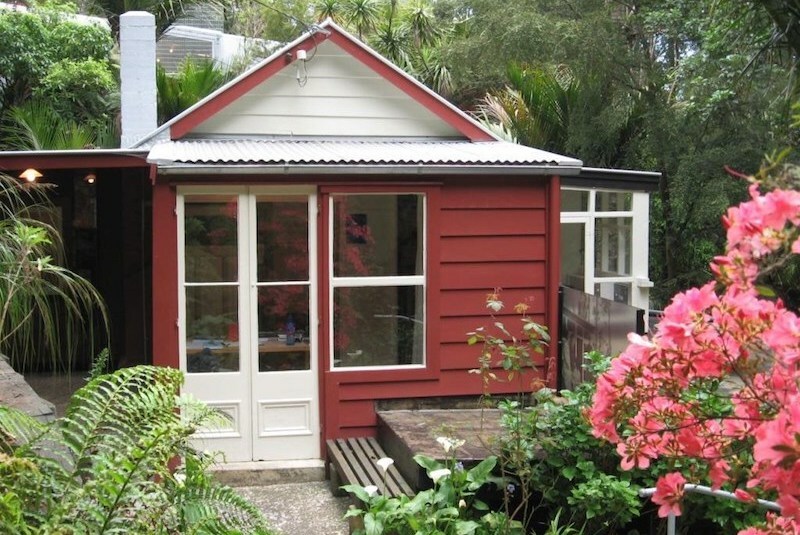 Located beyond Bucklands Beach on the peninsula at the end of the Tamaki River. Musick Point is a great spot for bike riding, running, fishing at the end of the peninsula on the rocks. It looks out towards Rangitoto Island and Browns Island and has breathtaking views. This amazing peninsula also has an intriguing history. After you drive through the gates to Musick Point - which leads to Esplanade Reserve, an 8.7 hectare natural heritage park, you will stumble across the stunning historic art deco building, Musick Point Radio Station. If you’re in Auckland, Waiheke Island is a tourist-must, only a 35 minute ferry away from the city centre. But you’ll want to be smart about it! Stay away from the bigger beaches and take your towel and togs to Little Oneroa Beach Reserve, where it’s a lot quieter and still barely a five minute walk to the nearest fish and chip shop (the aptly named The Local), and even closer to a wine store to enjoy with your food. Sam Brooks is an Auckland playwright and the TV and gaming editor of The Spinoff.